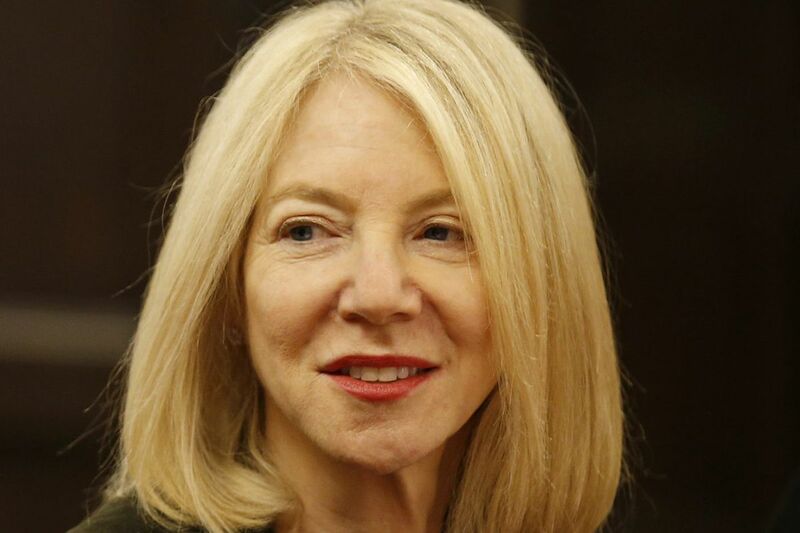 Amy Gutmann, president of Penn, will lead her second fundraising campaign. . The University of Pennsylvania this week launched the public phase of a $4.1 billion fund-raising campaign, the most aggressive in its history, with the goal of completing it in 2021, a year before Amy Gutmann's contract as president is scheduled to end. The university's previous $3.5 billion campaign, launched in 2007 and completed in 2012, also was conducted under Gutmann, who became president of the Ivy League university in 2004. The university exceeded its goal in that campaign and raised $4.3 billion. Called "The Power of Penn: Advancing Knowledge for Good," the new campaign will increase financial aid and provide other support for first-generation college students, as well as fund new construction and increase the endowment — already at $12.2 billion — to help with student aid and faculty recruitment and retention, university officials said. Among the capital projects on the agenda are a new college residence hall; a "venture lab" led by Penn Wharton Entrepreneurship; and the New Patient Pavilion, a 1.1 million-square-foot hospital building with about 500 inpatient rooms, 50 operating rooms, and an emergency area. The university already has raised $2.7 billion of its goal over the last 4½ years in the quiet phase of the campaign, said John Zeller, senior vice president for development and alumni relations. The public phase, begun Thursday night, will run 39 months and is scheduled to conclude in July 2021. The current campaign has not attracted any gifts as large as the $225 million donated by Raymond and Ruth Perelman that anchored the previous campaign. "We're really focused on broad-based support," he said. The previous campaign drew donations from about 326,000. While universities often set fund-raising goals significantly higher than the amount raised in the previous campaign, Zeller said, the current campaign wasn't about the number but securing the funds needed for the university's initiatives over the next few years. "If we raise more, that's terrific," he said. The campaign is expected to benefit Penn across its 12 colleges and six centers, the university said. "This campaign will ensure that Penn-generated multidisciplinary knowledge has a more powerful and positive impact on our local, national and global communities," Gutmann said in a statement.